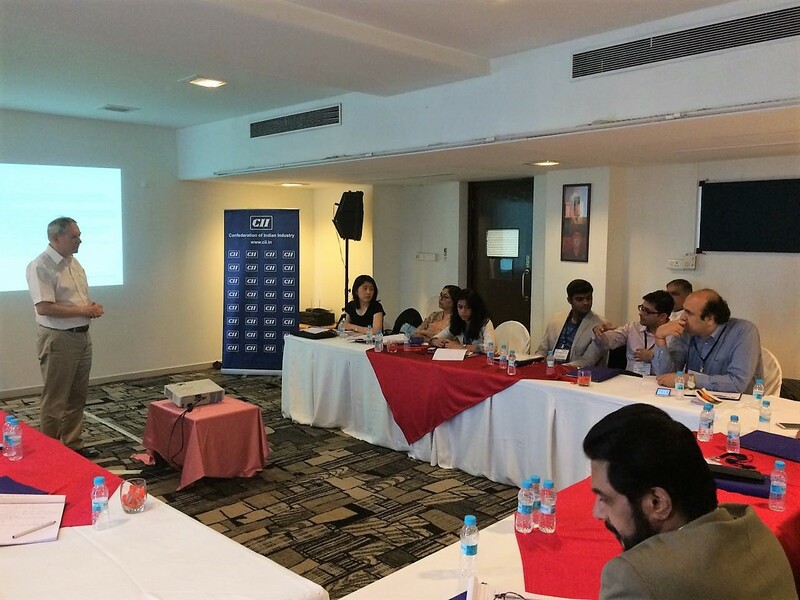 The Centre for Technology, Innovation and Economic Research (CTIER), in partnership with the Confederation of Indian Industry (CII), hosted a round table discussion on 'R&D in India' on 30th June 2016 in New Delhi. The Centre is working closely with the Confederation of Indian Industry (CII), the Department of Science & Technology (DST) and the Department of Science & Industrial Research (DSIR) to build a more comprehensive database on R&D in India. The round table discussion helped us lay the foundation for a biennial survey of the top 150 firms doing R&D in India. Through the survey we hope to understand among other things, the nature of the R&D being undertaken, how it is changing, the talent trends in R&D of firms in India, and the impact of various government measures on R&D. Improving the quality and timeliness of data, in our view, would contribute to quality research and assist in making better informed policy decisions in India. We were able to get together R&D heads from some of the leading companies that perform industrial R&D in India to share insights, given their background and experience. Stakeholders from academia and the government, including representatives from the DST and DSIR also attended the conference and shared valuable inputs regarding several government policies and schemes for R&D in India. The discussions were led by members of CTIER's Research Advisory Council - Mr. Anjan Das, Executive Director, CII, Prof. Pankaj Chandra, who has conducted the national survey on Competitiveness of Indian Manufacturing over the last 20 years, and Prof. Rakesh Basant from IIM Ahmedabad- to derive useful information which can then be incorporated into the survey. The timing of this programme was particularly pertinent, given the government’s push to improve India’s ranking in the global innovation index as well as the recent launch of the India Innovation Index on the 31st of January 2017. The programme was meant for senior and middle level officials of central and state ministries involved in the measurement of innovation indicators and science and technology policy, as well as personnel from the private sector involved in strategic planning and business excellence. There were representatives from the Science and Engineering Research Board, the Department of Industrial Policy and Promotion, the DST-Centre for Policy Research (Panjab University), the Kerala State Innovation Council, academics working on technology policy and representatives from Industry. The lectures covered a wide range of topics from gaining a systemic perspective in understanding the generation and diffusion of innovation to the study of new and conventional indicators for measuring innovation. Also for the first time, the DEIP incorporated 3 field visits to complement the classroom discussions. Copyright © 2016 All rights reserved by CTIER. All Images are Rights Protected.